The Officiating Course Handbook sets out Paddle Australia’s (PA) overall approach to obtaining foundation and national officiating qualifications for all paddling disciplines. It provides general administration requirements and outlines course training syllabuses. 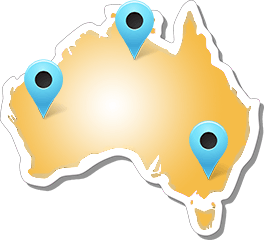 PA coordinates and managers paddling officiating courses Australia wide. It is responsible for preparing the courses, making them available to the state member associations and for the accreditation of officials. PA’s state member associations are responsible for providing opportunities for Foundation officials to complete logbook experience at local events. PA is responsible for providing opportunities for National officials to complete logbook experience at National events. Volunteer – A PA volunteer is an individual which dedicates their own time for PA without any financial gain. Official – An official for PA holds all the same characteristics as a volunteer. The difference though between an official and volunteer is, an official holds a PA or ICF officiating qualification. The PA Officiating Qualifications consist of 2 levels for all disciplines. Currently all levels are being developed ready for release in 2019. PA encourages everyone to get involved in officiating for all disciplines throughout all levels of the organisation. To complete your officiating course you can start by completing the exam or start your logbook experience first. The order does not matter as long as all are complete before submission. To get involved we encourage you to contact one of your State representatives in your discipline of choice. They will be able to provide you with information on up coming events and help guide you through skill development. The holder of this qualification is qualified to officiate regattas in non-leadership roles in the specified discipline. Suited for officials at club and State events. This course is delivered in two parts, theory and practical components. Practical sections can be completed at State and National events only. Please contact your State representative to find out information on the next event. 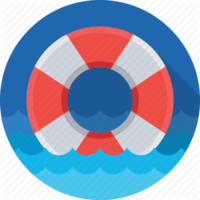 All logbooks must be processed via Paddlelog. Paddle log is available on Apple and Android devices as well as desktop. The holder of this qualification is qualified to officiate events in leadership roles in their specified discipline. Suited to officials officiating National events. This course is delivered in two parts; theory and practical assessments. The practical assessment can be completes at State and National events only. Please contact your State representative to find out information on the next event. Skills and knowledge are lost over time unless a person actively works to maintain them. The best way to demonstrate that your skills and knowledge are current is to maintain your qualification. 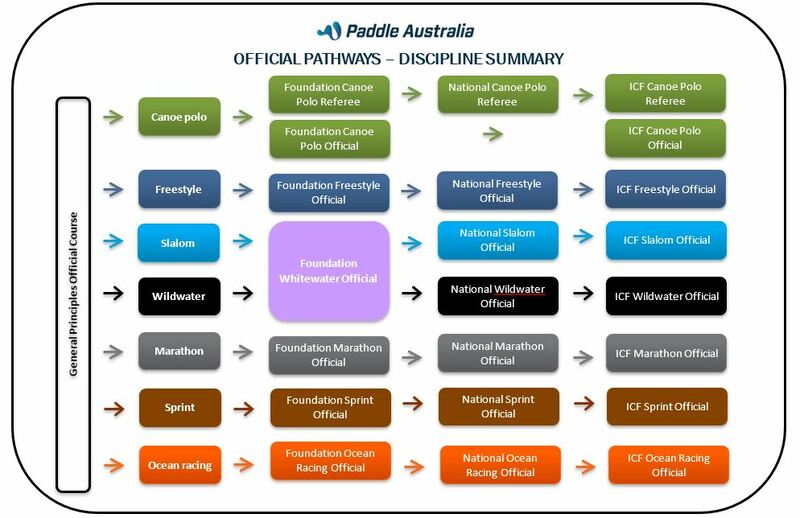 Paddle Australia officiating awards expire after a term of four (4) years. To re-register, the holder must be able to demonstrate that they have maintained a level of competency equivalent to or above the qualification that they hold. Re registration can be completed by signing into the education system with your username and password. All officials must complete at least 20 hours a year of officiating for all four (4) years of their qualifications to renew their award. Foundation Officials must complete their hours at either a State or National event and a National Official must complete their hours at a National event.